EVERGREEN, COLORADO — Great SEO is all about establishing a long-term relationship with search engines. To rank at the top of search engines, you should be able to “woo” the search engines as well as the users. If you continue to tweak your website without getting any considerable boost in the SEO, it’s time to take a microscopic look at what you’re doing and whether you’re doing it the right way. Most importantly, you shouldn’t get caught up in SEO trends. According to Google’s Webmaster Guidelines, SEO experts should concentrate more on the fundamental tasks that will win visitors for the long-term. You can never expect a site to rank in the top 10 search results without having any idea why it’s useful to searchers. Sadly enough, many exist in the SEO field that would burn the midnight oil trying to find out the latest trick to loophole their way to the top of search engine rankings. Without identifying who your target audience is, you can never direct your online business marketing and SEO efforts in the right direction. Webmasters make the biggest mistake when they start to make search engines the target of their SEO campaigns. Your target audience is the group of people that has a keen interest in buying a product or using a service that you have to offer. Do you know who those potential clients and customers are? If not, you should first identify what a potential client for your business actually looks like. You need to define an ideal customer on the basis of key demographics like age, geographic location, hobbies, marital status and income range, among others. By knowing what an ideal customer for your business looks like, you place yourself in a better position to use your customers’ vocabulary. In addition, it opens your doors to many other potential online marketing opportunities. Therefore, identify your target market so that you know where to focus your strategies and produce the kind of content that will provide real value. 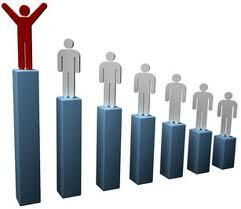 Identifying your competitors tells you how tough the search optimization task is going to be for you. If you have offline companies as competition, for example, it might be possible to get a leg up quickly. That is because they usually don’t do the best SEO or have a flash-based site that doesn’t have good rankings. Or you may face competition that’s already well-established in the world of search engines. You may also need to compete with bigger brands. Though gathering competitive intelligence is a time-consuming task, it’s extremely useful in terms of targeting the right keywords or knowing the types of backlinks your competitors are using. “Understanding what your competitors are doing online is a must and absolute priority when launching a new website that is entering a competitive space and also when established websites want to keep an eye on their competition” says Loren Baker, the founding editor of Search Engine Journal. What are they doing to boost on-page SEO? What link building strategies they are using? What potential keywords are they focusing on? How active are they in terms of search engine optimization? What SEO tactics have the greatest impact? What’s their presence in the social media space like? By keeping a close watch on your competitors’ strategies, you’ll be able to learn more, know what really works and fine-tune your own SEO strategies depending on the specific requirements. To take the SEO of your website to the next level, staying fresh is one of the best recommendations. Always remember to keep the content on your websites up-to-date. To stay ahead of the competition, you should focus on building a solid social media presence as well. If your target audience also comprises mobile device users, you should consider creating mobile-friendly versions of your website. In any case, don’t forget to be relevant. Do you think your SEO is headed in the right direction? Please feel free to talk back in the comments. I\’m not sure where you are getting your information, but great topic. I needs to spend some time learning much more or understanding more. Thanks for fantastic info I was looking for this information for my mission. I do like your site, this my very first time in your site. I found very informative. There are lots of other sites regards to SEO, but unfortunately they feeding people with wrong information just to sale their products. As you mentioned above..how can I keep tracking on my competitors activity on their web site? Finding their back links easy part. But \”What SEO tactics have the greatest impact? Any tips? Thank you for the providing information.